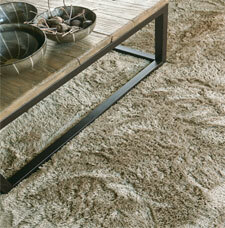 Lucca is a range of super soft plain coloured luxury shaggy rugs. The collection features a range of stunning rugs in neutral colours and the finest polyester yarns, all of which will add a touch of simple elegance to any room. Watch out for Lucca's sister collection; Dolce, which features a range of plain coloured non-shaggy quality made in exact matching colours.